BitDefender antivirus reports a Trojan.GenericKD.40744760 in jrubyw.exe and removed it from my filesystem. As the file is a Windows wrapper executable to host a JVM, it is of no use on macOS and no harm is made on my system. Although, I am not affected during development, I will be unable to deploy this into a production environment at my clients. Any security related incident, will void the affected version from being deployable. Looking into it. These binaries were built on a Windows 10 VM of mine that had nothing else installed except Chrome, Git, Java, and the Mingw toolchain. I would have expected both exe to get infected if this is real. 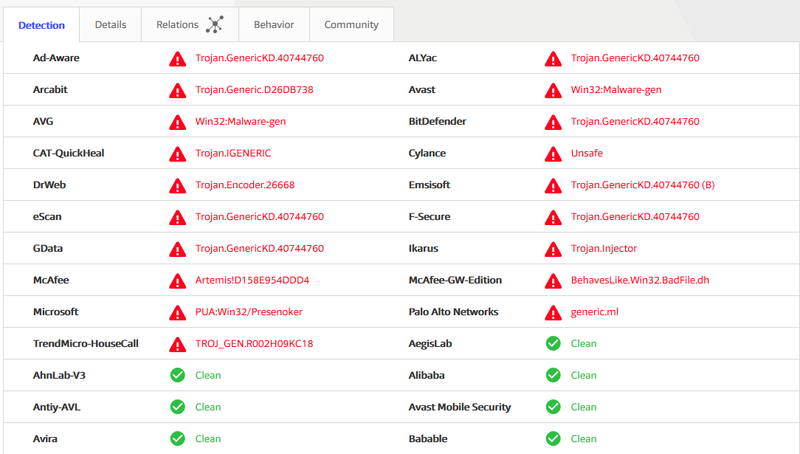 I am running a full system scan on my VM to see if some malware snuck in there. In the short term you can just delete jrubyw.exe. I'm not sure anyone uses it. The investigation of my VM will take some time so I think we're going to err on the side of caution and have @enebo build new binaries and push a security release 9.2.4.1. Should be within 24h. Yeah, I'm stumped. It seems like a false positive but there's too many failures on virustotal for me to be really comfortable. Here's my results...the only thing "infected" is the jrubyw.exe I built myself. Something fishy must have happened (although it could still easily be a false positive) since when I build point release of launcher on my windows machine it does not generate these hits. The other thing I wonder about is why so many other AVs do not detect this? My machine did not detect it when I did testing. 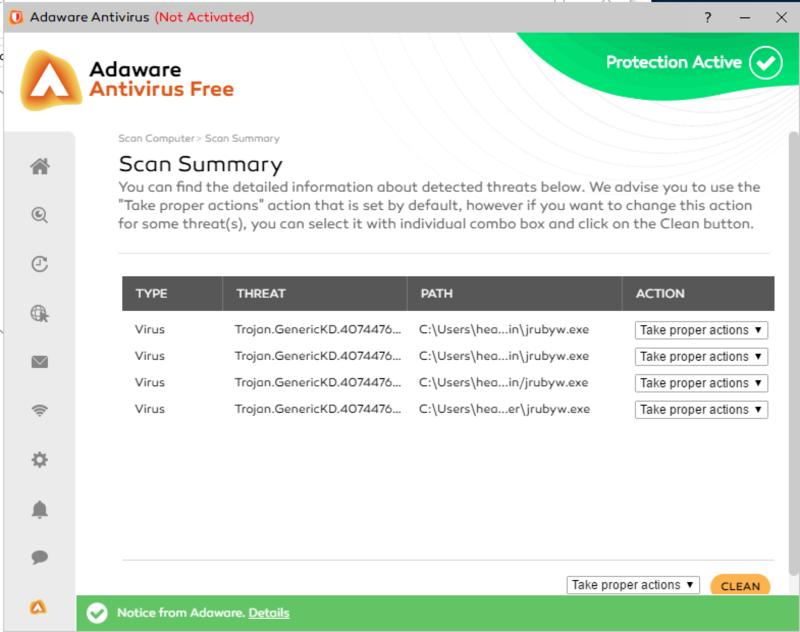 I now have switched to Bitdefender which is one of the ones which tested positive. 9.2.4.1 will be coming out soon. As @headius said we decided this is a little scary to assume it is a false positive at this point.